A last week, I attended a public screening of Genetic Roulette, coordinated by a friend of mine at a local college. If you've seen Genetic Roulette by Jeffery Smith, you'll know just how emotionally powerful this film is. Genetic Roulette is a documentary of the history of GMOs, how it came to be and the truth behind it all. It touches on the FDA's role, farmers' personal experience in using GMO seeds and moving testimonies from moms who have witnessed their children's health improve and decline in relation to genetically modified foods. More information about the film can be found at GeneticRouletteMove.com Being an educated consumer has never been more vital at this time in our history! There are non-GMO choices available. Your only guarantee that products you purchase avoid GMOs are those certified by independent third party agencies. Label claims of "Natural", "Organic" and "non-GMO" essentially are all talk and no action. There are no laws governing the use of these terms as marketing strategies. Organic certification and Non Project GMO labels on products back up the manufacturer's claims. Non GMO Project is a non profit, third party testing organization with rigorous testing standards. It is the only independent verification organization for GMO avoidance. You can be confident with products that bear the Non GMO Project certification label. Now, I'm unsure if all ingredients listed are tested for example; products that bear multiple ingredients like chips...is the oil the potatoes are fried in tested for GMOs? I can't rightly say. 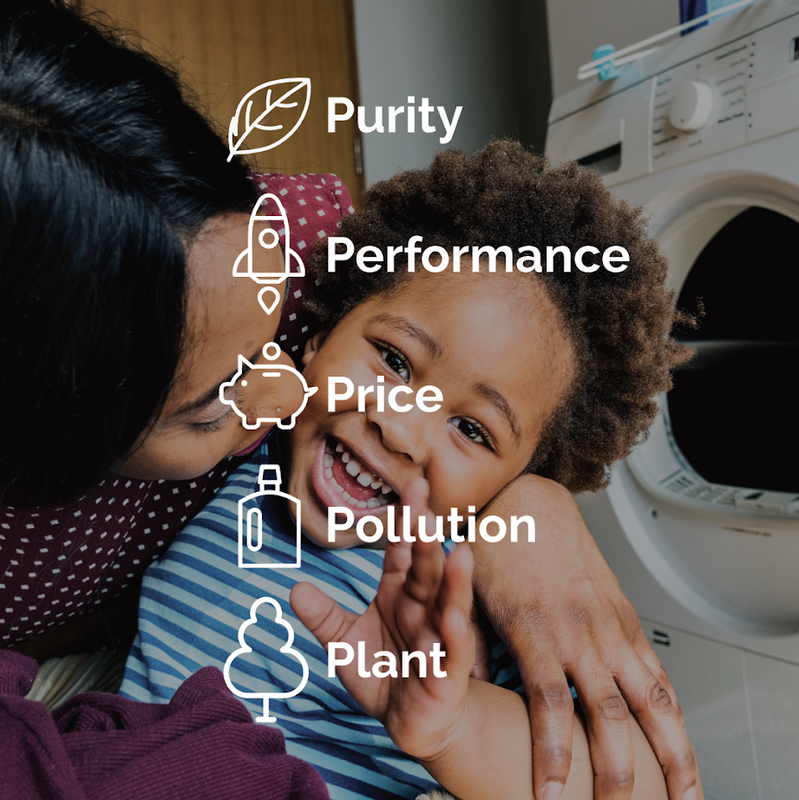 Naturally, the use of pesticides and synthetic ingredients in conventional products are still present in a Non GMO Project verified product, which be why products that carry this seal is an alternative to certified organic products. With a Project verified seal, you can rest assure that AT LEAST, you aren't feeding yourself or your family food that is genetically modified. If you ask me, GMOs are the worst offenders out of a list of things we need to protect ourselves from. 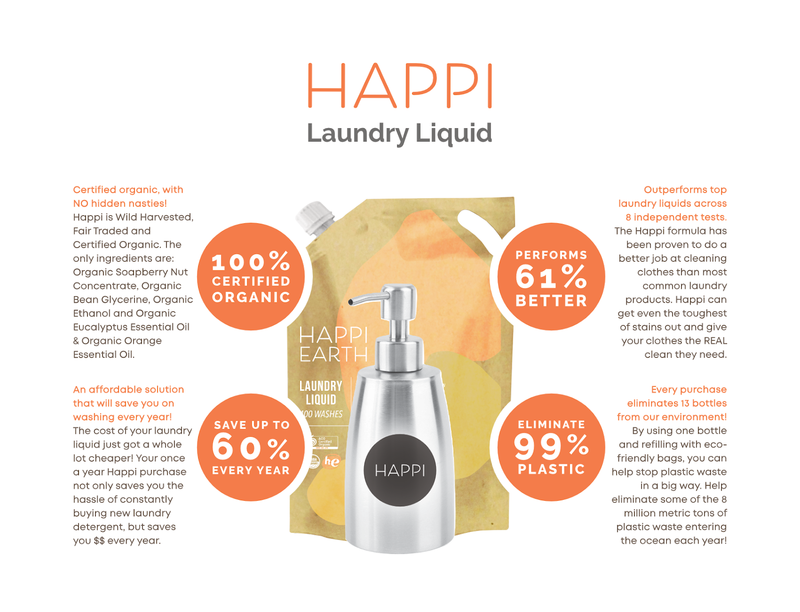 In my belief a certified organic certification offers a purer product. A organic certification doesn't allow for genetically modified organisms in addition to a list of restrictions that include synthetic ingredients and processing. However, there are different levels of organic certification. For example, certified organic cosmetics meet a lower standard that does allow for synthetic ingredients. Food grade standards is the highest level of organic certification available. A product that is certified organic to food grade standards offers the purest assurance available. 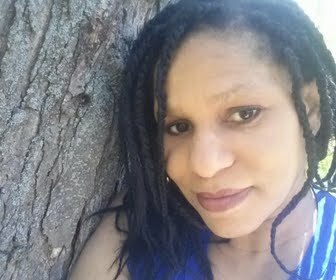 My shop, TheOliveParent Organics, an independent representative of Miessence, offers certified organic products ranging from skin care and cosmetics to home care and superfood nutrition to international food grade standards. IFOAM (International Federation of Organic Agriculture Movements) provides the most stringent third-party certification. Labeling a product has become a slippery slope of misleading, information-omitting slope. Marketing has become a deceptive quality that, unfortunately defines the norm of daily life. Many times, I've spent fifteen minutes reading or more and Googling product and ingredient information on just one product in the grocery aisle! certifying organization, misleading ingredient-labeling and more! 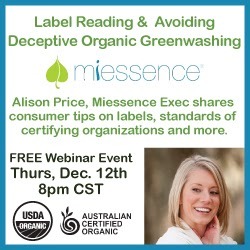 If you're a label reader like I am, you don't want to miss this webinar, offered by Alison Price, Miessence Exec. If you'd like to join me. RSVP here.